Fill out our simple form and get quotes from local wedding bands. One sure fire way to ensure your guests enjoy your wedding day is to hire a fantastic live wedding music band. Create a magical atmosphere and lots of fun as a live wedding band helps you celebrate your big day. Mobile disco, DJ and Entertainment hire throughout Northern Ireland including Karaoke, Race nights, Quiz Nights, Bingo Nights, Party Games. This is performance time and does not include set up. Wedding music can be one of the most personal choices of your special day. 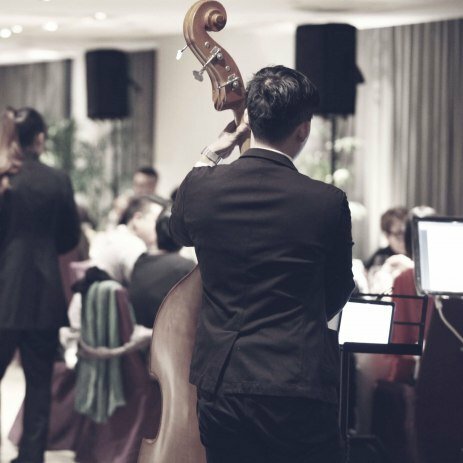 Showcase your personality and music taste by hiring a live wedding band that will perfectly perform your favourite genre of music. Have your wedding band play your all time favourite songs or compile a romanic list of songs that relate to your life together so far. Wedding band hire is an important consideration, and the ideal way to get your guests involved and up on the dance floor enjoying your celebration, especially if you allow requests! The options for your wedding band music are limitless, you just need to find the right musicians for your wedding. Take a look at the wedding music bands that are available to perform in your area here, read reviews from past clients and submit a free quote request form for more information.